With its improved wrist closure, the NRS Rafter's Gloves will certainly become your warm weather boating glove of choice. 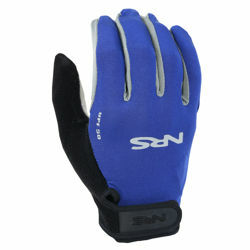 Protection from sun and blisters in an full-finger design. With a full finger design and Amara® synthetic leather palms, these gloves give superior grip and blister protection without restricting your finger movement and feel.